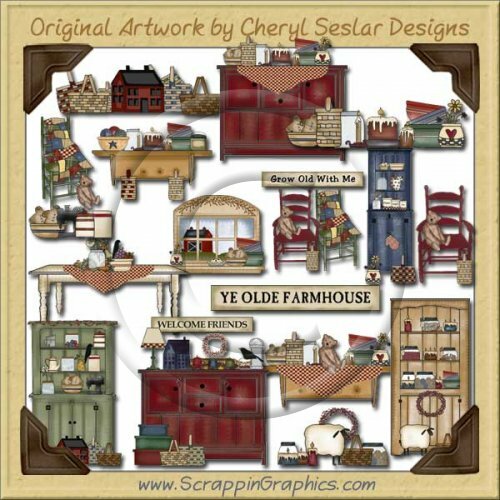 This collection of prim graphics is perfect for all your country projects. This set includes 18 different graphics: baskets & house group, teddy bear with chair & quilt, red chair, word art YE OLD FARM HOUSE, gingerbread men with jars, gingers-candle-jar-bowls group, 3 4 different cabinet/selves group, GROW OLD WITH ME word art, teddy bear on red chair with basket, sheep-candle-wreath-basket-jar group, table, window. 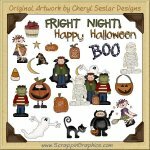 Great collection for creating stationary, cards, labels, tags, invitations, and other printables.